*The following product was purchased with a gift card provided by Sephora in exchange for my honest review. 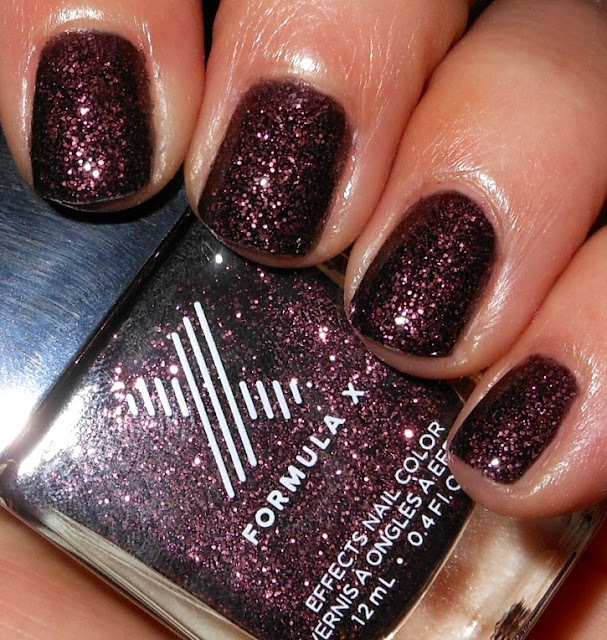 I have been a fan of Sephora's Formula X line since it's fruition. I love how they have different finish collections within in the Formula X line. One of their newer collections is the Black Quartz collection that features color glitter in a black jelly base. I have one of those colors to show you today. 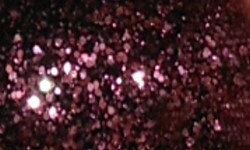 Euphoria is a black jelly base with pale pink glitters. Color: This is actually my favorite color this collection. I love this pairing of the black with the pale pink. It's not a color combination I see often and I love the elegant look of these colors together. This isn't an in your face bling monster, which I sometimes prefer. It's on the softer side of the bling scale but it still has some glitz. Formula: This formula was good. I used 3 coats above. This formula does dry matte and gritty, so top coat is a must. These colors are not attractive the way it dries. Top coat brings them to life. Price: This is $12.50 at Sephora. Overall: I like Euphoria. I really like this color combination as it's unique to me. I also like how Sephora has successfully accomplished the black jelly glitter. I've seen a lot of black jellies with glitter where the glitter gets drowned out by the black jelly base. The formula is alright and the fact it dries to matte finish isn't ideal. That can be fixed with top coat, but a glossier finish would have been better!